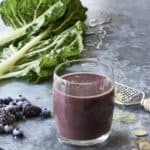 This sweet Swiss chard smoothie with blueberries and blackberries from The Blender Girl Smoothies book is surprisingly delicious and won’t make you gag! I called this the Chard Black and Blue Smoothie from the book has a light fresh flavor (don’t miss the mint) with a warming note of ginger. The chard and berries offer astonishing antioxidants (boost with açaí and chia for even more) and protect the brain from oxidative stress, providing anti-inflammatory and detox support. Drink immediately for the most balanced flavor. The chard gets assertive the longer the smoothie sits. For those of you who haven’t tried adding chard to a smoothie, don’t be afraid. While chard can be bitter and assertive, there are ways to add it so that it doesn’t make you gag. And, I really encourage you to include it in your rotation of smoothie greens, as it’s utterly loaded with nutrients. Chard is a great antioxidant, anti-inflammatory, and detox agent. Polyphenol antioxidants boost heart health and regulate blood sugar. 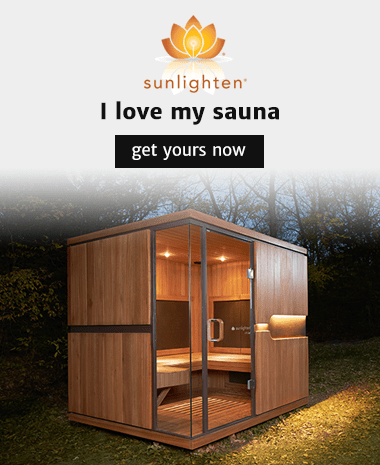 This leafy legend is also a good source of vitamins A, C, E, and K, as well as protein, calcium, iron, copper, manganese, magnesium, sodium, and alkalizing chlorophyll for bone and lung health. Nutrients in chard also help to build blood, regenerate cells, and boost immunity. Chard comes in a variety of colors (red, orange, yellow, and white). “Rainbow chard” is just different kinds of leaves all bunched together. Most of the chard’s nutrients are found in the leaves, so remove the stems to reduce the bitterness. Removing the fibrous stems also helps to keep your blends smooth when using a conventional blender. I classify chard as a medium-flavored leafy green. It has an earthy and slightly bitter flavor with a salty lemony note. In smoothies, chard pairs well with sweet fruits like banana, pineapple, mango, orange, pear, apple, grapes, and berries. Start with 1 to 2 leaves (about 1 cup) and add to taste. Chard gets assertive when used in larger proportions. Adding mint, ginger, and lemon or lime juice and zest helps to take the edge off the bitter flavor. When you start using chard, you also might find it helpful to use a base of fresh apple, orange, or grape juice. 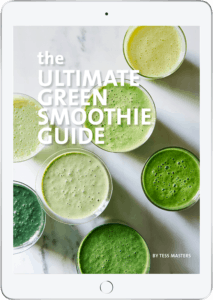 Know that chard can turn your smoothies an unpalatable brown color, and nobody wants to drink anything that looks like the swamp water where the plants came to die! So, to avoid a pooh-brown smoothie, blend in pretty purple ingredients like raw red beets, berries, red grapes, or cranberry, pomegranate, or grape juice. Or embrace the brown, blend in some cacao, and go chocolate! When selecting chard at the market or grocery store, choose firm, dark-green leaves with no wilting or yellowing. The leaves are extra-perishable, so store them in the crisper, on top of a paper towel or cloth to absorb moisture, and consume within a few days. 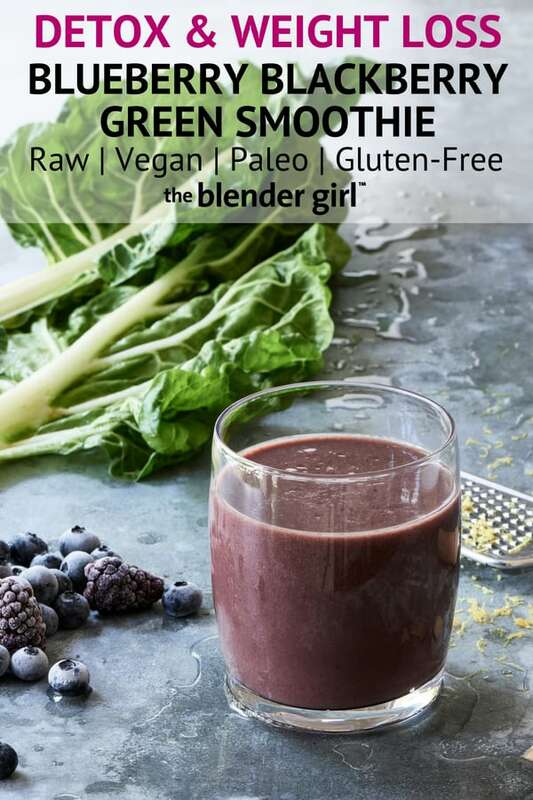 This sweet Swiss chard smoothie with blueberries and blackberries from The Blender Girl Smoothies book is surprisingly delicious and won't make you gag! Throw all of your ingredients into your blender (including any boosters) and blast on high for 30 to 60 seconds, until smooth and creamy. Tweak ginger, zest, and sweetener to taste.